Home | GirlGuiding New Zealand - You be the guide! GirlGuiding New Zealand is shocked and saddened by the events in Christchurch on Friday, 15 March 2019. Our thoughts and sympathies are with everyone affected by the tragedy. GirlGuiding NZ supports girls to take action and change their world. We’re a girl-led organisation. That means you’ll be the guide. What kind of adventure are you looking for? 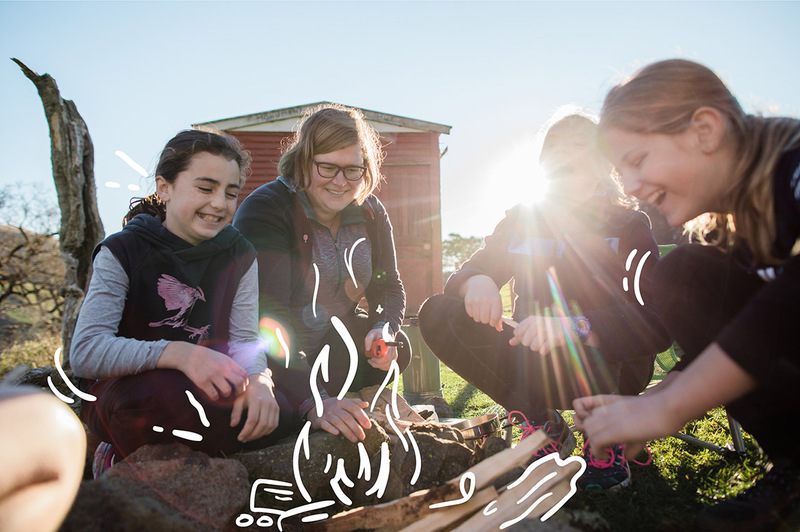 Becoming a volunteer for GirlGuiding NZ is an amazing way to give back to your community. Connect is a personal development programme for 16-25-year-olds. Travel, volunteer, learn new skills and stay in touch as you work towards valuable qualifications in a fun and supportive girl-led environment. Book your Community Programme Events! We now have an incredible Community Programme in Auckland that offers one-off themed events for all girls. Check out what's happening and book your space! Our mission is to empower girls to take action and change their world. We do this by using fun, adventure and friendship to build their confidence and life skills.